Everyone that wants to create interactive videos, but our aim is specifically on education. We support SCORM and xAVI and HiHaHo is ideal for online education and classical classroom lectures. An interactive video solution to transform any video into an e-learning platform, with interactive features to engage viewers. Pros: Being a company dedicated to eLearning, we met Hihaho by chance, looking for a way to make our educational videos more interactive. Although we only tried the free version, we were able to create videos that met all our expectations. They offer a great variety of interactions that you can also adjust and adapt to your project. And then they allow you to review and analyze the statistics and numbers that you gathered with all the interactions in order to make the right decisions. And all in a very simple way! Cons: There is not much to say here. At the time we used it, it was not possible to upload videos directly, just add them through a URL. Pros: It's surprisingly easy to add interactions to any video. In just a couple of minutes I had added a few questions, placed several jumps and an image to the video! Cons: I would like to play a HiHaHo video straight on Facebook or Twitter. Unfortunately these platforms do not support interactive videos yet. Overall: HiHaHo allows me to add extra value to my videos. Thanks for your review and tip. We'll see if we can make it happen anytime soon. Pros: The software has a wide variety of interactions. There are several video integrations available, like YouTube and Vimeo. And the software has well great integrations for elearning purposes, like xAPI en SCORM. Cons: It's not yet possible to upload videos. It's possible to add interactivity to one video. HiHaHo does not provide branching in which you can use more than one video to build a interactive video story. 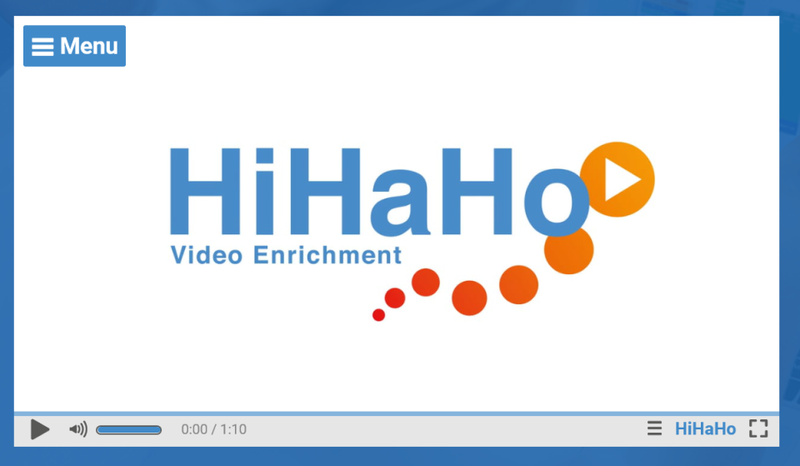 Overall: HiHaHo helps to give use video as a microlearning tool. It making learning more efficient. Easy to use interactive video editor, it's great for educational purposes. Pros: It is so easy to use and really helps get the attention in class. It increases the overall engagement, depending on how you use it of course. But if you make the interactive part funny, students love to participate. Cons: The overall layout of the interface could be better, but it is still clean and easy to use. Also, I think the functionality of social sharing could be easier. Overall: Increased student engagement and interactivity. Thank you so much for the nice review. We hope you keep enjoying HiHaHo. Thanks for the tips on the interface.